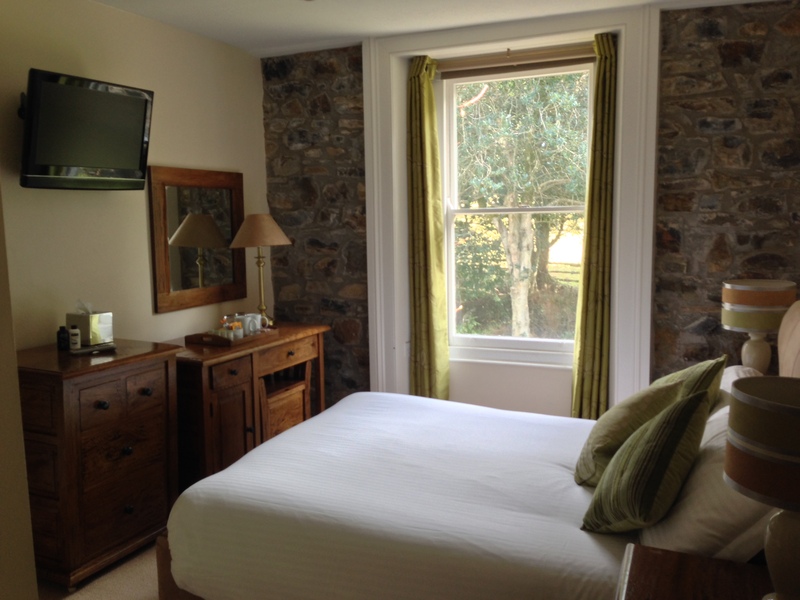 Cox Tor is a cosy room with a double bed, it is in the original part of the hotel built in the Victorian times, it has a recently restored sash window and overlooks the gardens at the side of the house. The bathroom is modern with a shower. There is no room for additional cots/beds in this room, it is also a dog/pet free room.